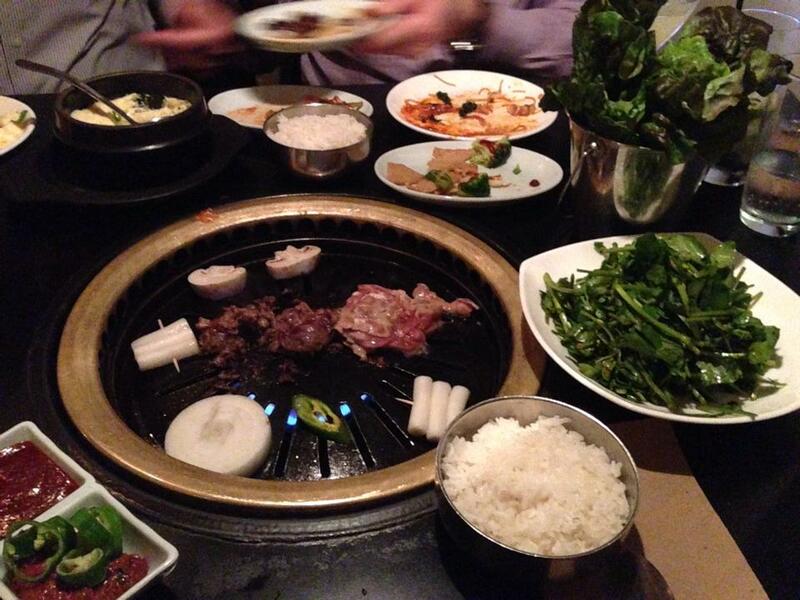 Peter Salerno Visits Do Hwa Korean Restaurant, NYC – Design Your Lifestyle. 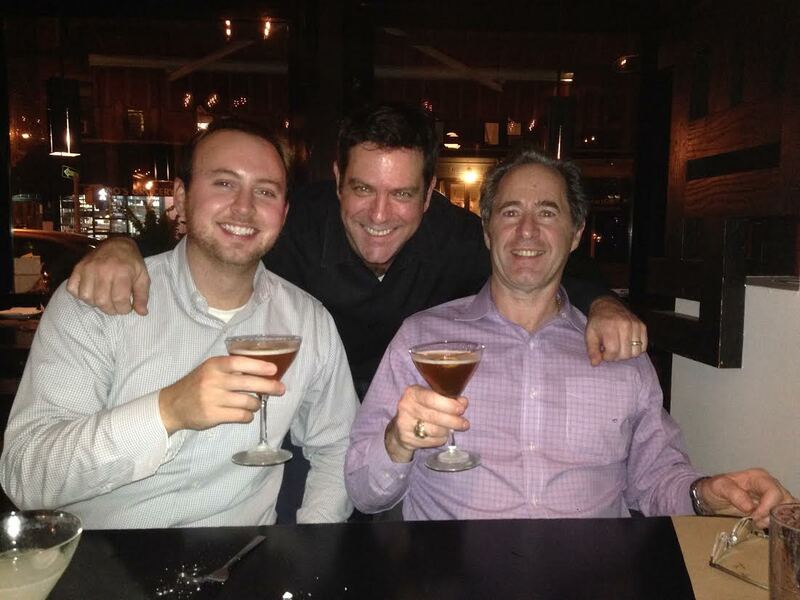 November 2014 Peter Salerno, Inc.
Peter Salerno with his son-in-law Brian and Terrence Segura, co-owner of Do Hwa Korean Restaurant. 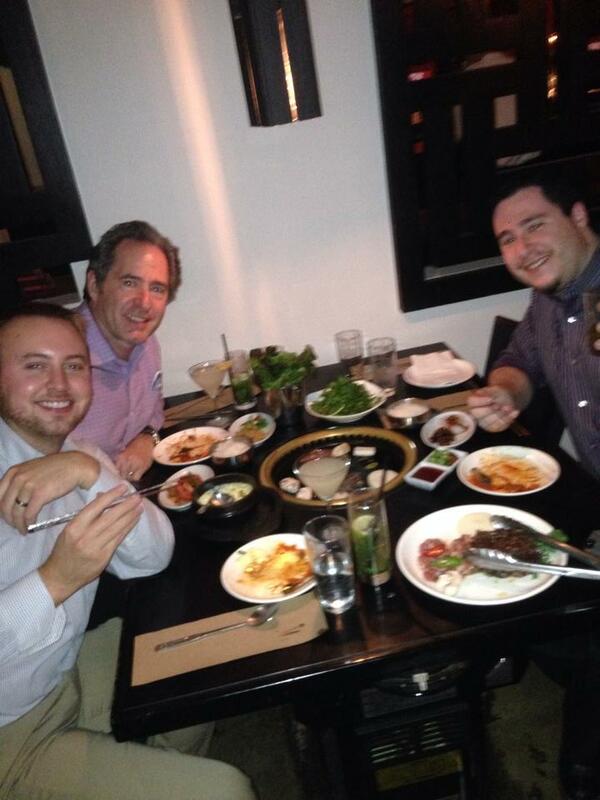 Peter Salerno, his son Anthony and son-in-law Brian recently visited one of their family’s favorite restaurants in NYC. Do Hwa Korean Home-cooking is located on 55 Carmine Street in the West Village, and is widely regarded (especially by Peter) as the finest Korean restaurant in Manhattan. Korean food is often entirely different from other Asian foods and is said to be one of the healthiest diets in the world. Anthony Salerno initially discovered Do Hwa in 2010, and after several attempts was able to get Peter to visit the West Village restaurant. Ever since, Peter and the entire Salerno family have been hooked. The ambience at Do Hwa is amazing – complete with tasteful Zen decor, Quentin Tarantino posters and memorabilia (Tarantino is a frequent visitor to Do Hwa, and a co-owner), and the occasional film projected onto the restaurant wall. On this night, Peter Salerno and family were greeted by co-owner Terrence Segura and his mother-in-law, owner and executive chef Myung ja Kwak. 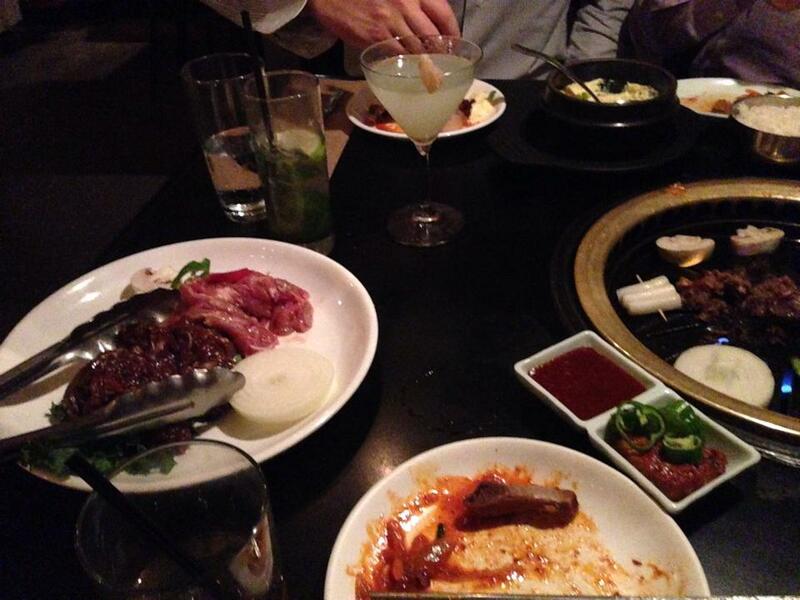 The beginning of a beautiful night of Korean cuisine at Do Hwa. As for what Peter, Anthony and Brian ate on their latest trip to Do Hwa? The entrees at Do Hwa are outstanding Korean cuisine. 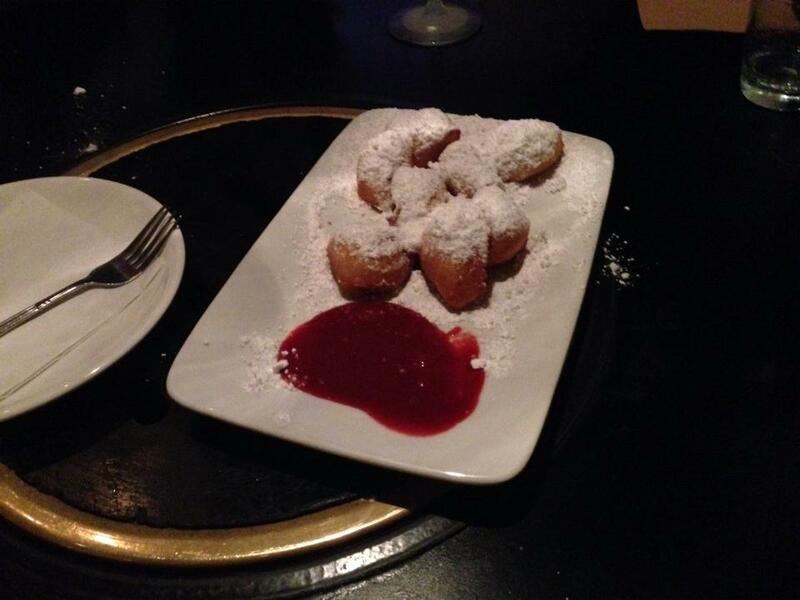 Peter, Anthony and Brian finished the meal off with some freshly made sugar-dusted Beignets with a raspberry sauce. Do Hwa’s amazing sugar-dusted beignets were the dessert course. Do Hwa updates its patrons on a consistent basis with a socially active Facebook page as well. Peter Salerno, Anthony Salerno and Brian Mayer at Do Hwa Korean Restaurant. Our thanks to co-owner Terrence Segura, his mother-in-law, owner & executive chef Myung ja Kwak, and the entire staff of Do Hwa Korean Home-cooking for another world-class meal served with remarkable ambience. | Peter Salerno Inc. <Liked it!